If you are new to the hW line of products we have our favorite three additives in one package. The TraceTip additives are trace elements that focus on coloration and growth in a balanced solution. Biotip focuses on the biological functions of coral, with amino acids and biocatylists allowing the corals to fully digest and utilize the nutrients in foods. Just add your favorite calcium, alkalinity, and magnesium supplements to create one of the easiest & complete dosing packages around. 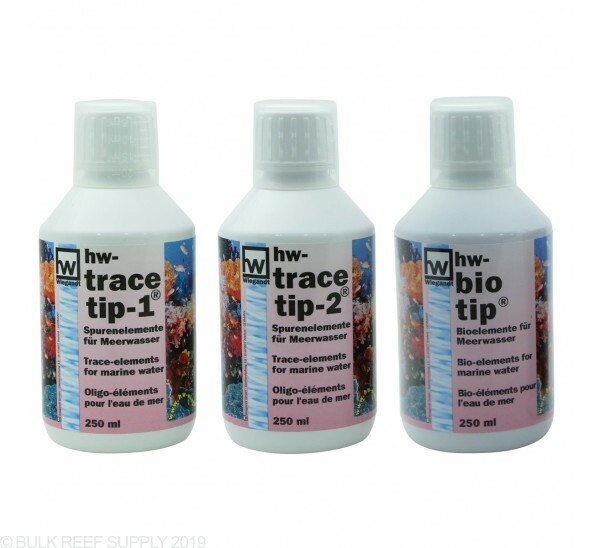 1x 250 mL TraceTip 1 - Balanced trace element solution that focuses on coloration and growth. 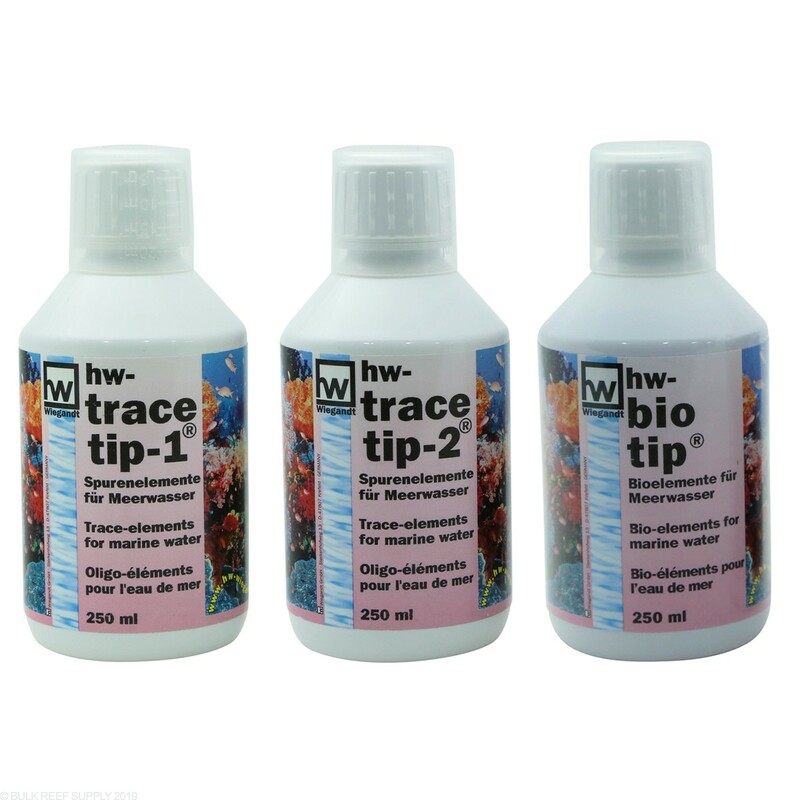 1x 250 mL TraceTip 2 - Balanced trace element solution that focuses on coloration and growth. 1x 250 mL BioTip - Amino acids and Biocatalysts that aid corals in biological activities. What is the dosage recommendation for each? Below you will find the recommended dosage for each of these additives. If you have any other questions, let us know! NOTE: hw states a 3-day interval will significantly improve the acclimation and attachment phase of new coral frags.